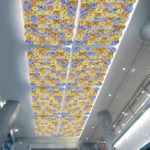 The various lines of Habitat Creative collection develop a concept of customization of the space, combining two-dimensional elements with floral or geometric inspiration, to create lighting solutions allowing as much freedom as possible: you can choose shape, color, pattern, size that you think to be the most suitable for a space and its features. 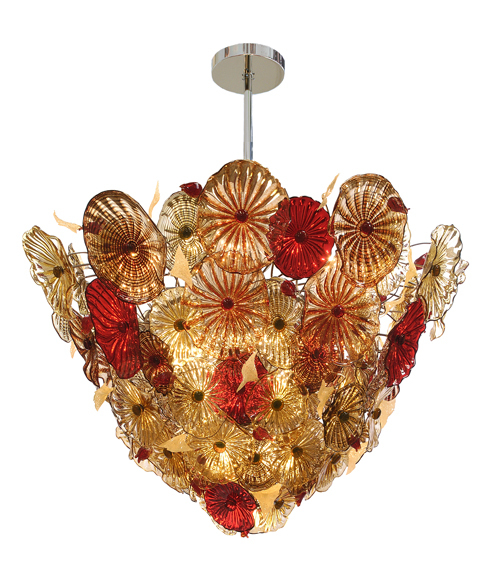 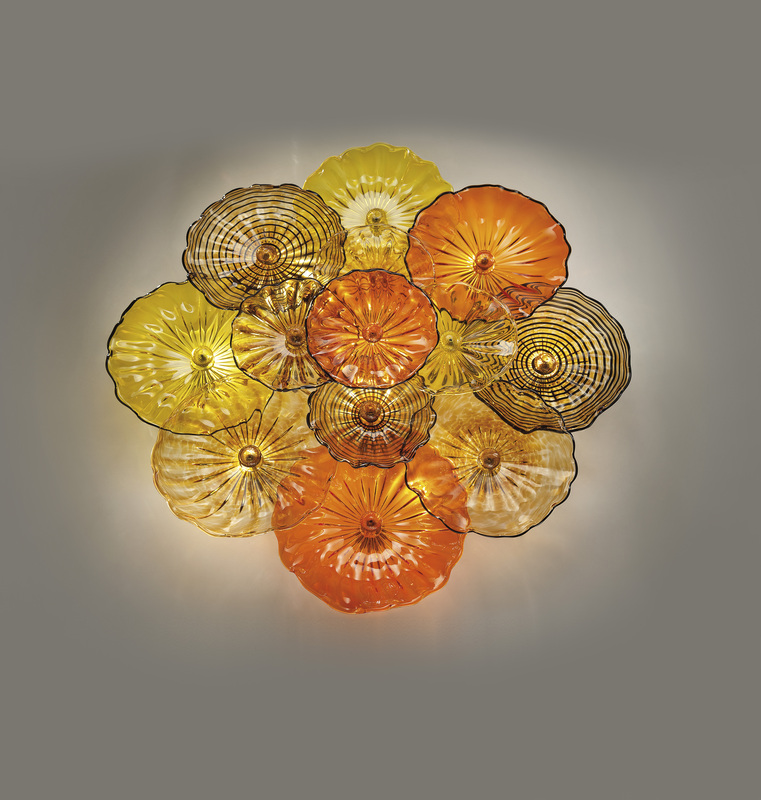 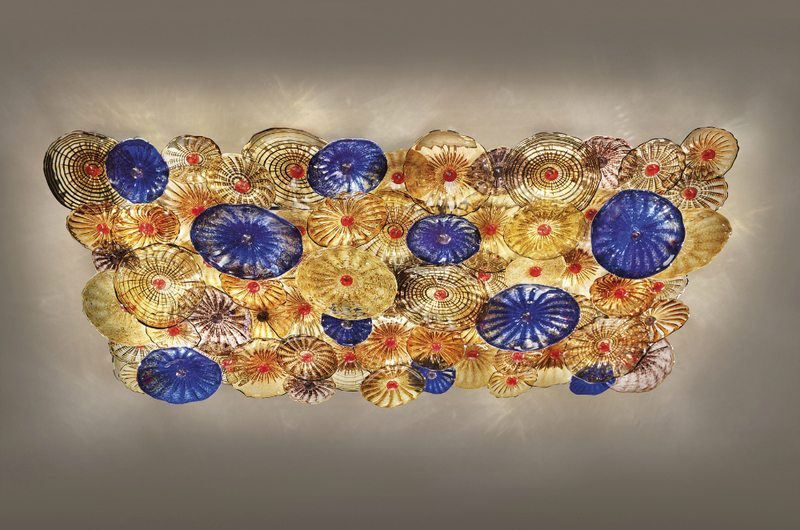 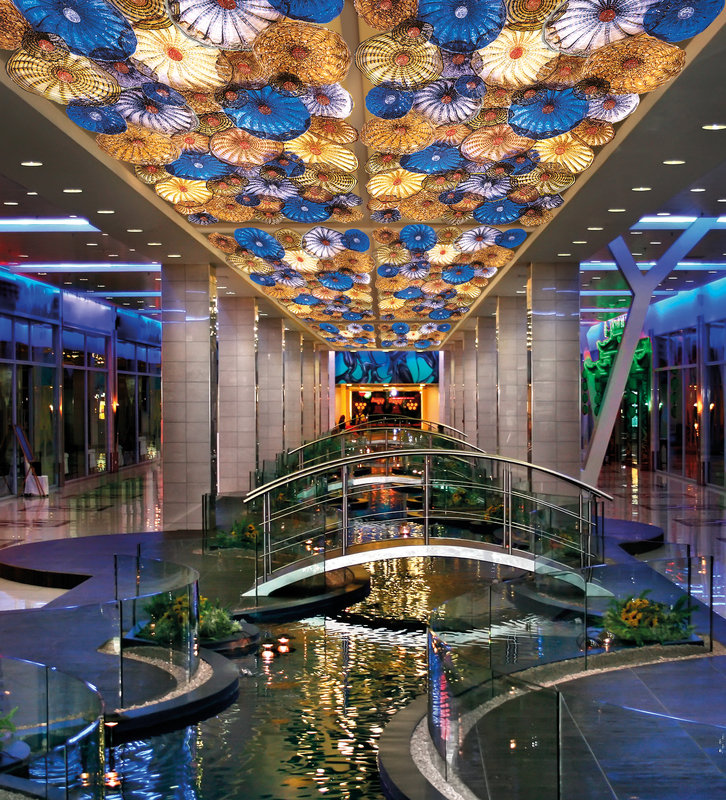 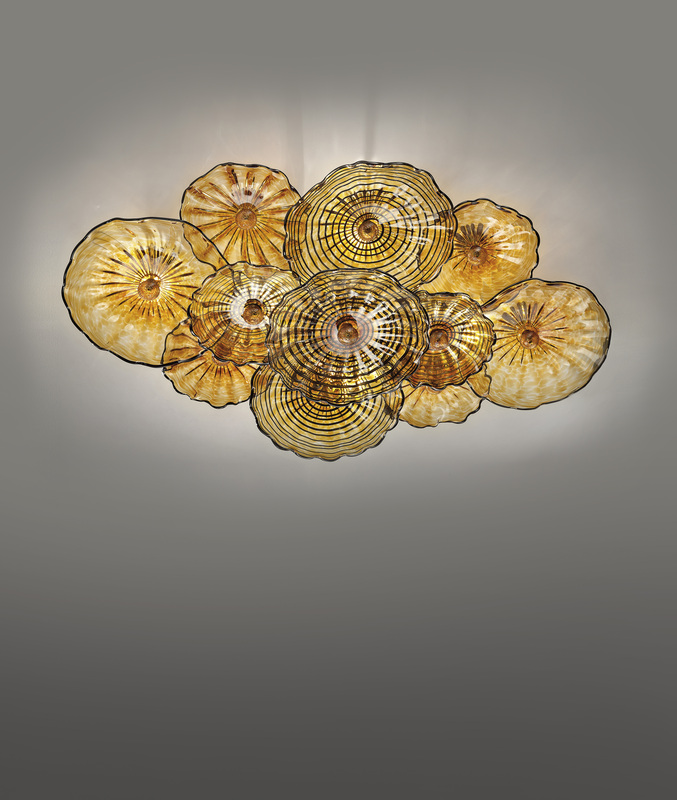 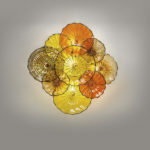 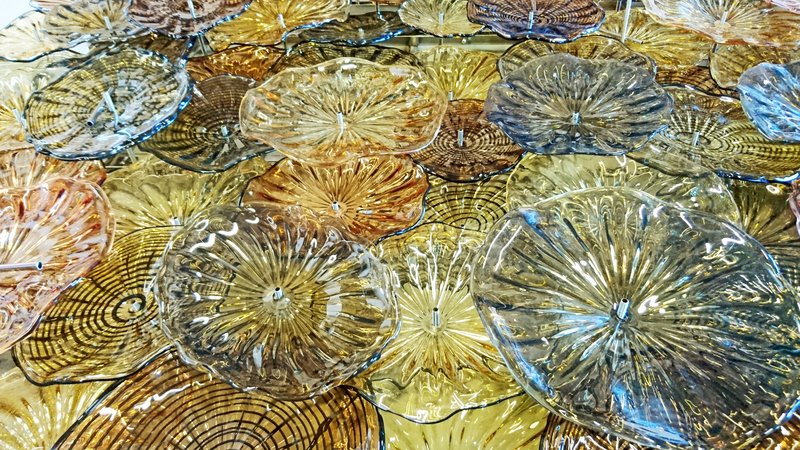 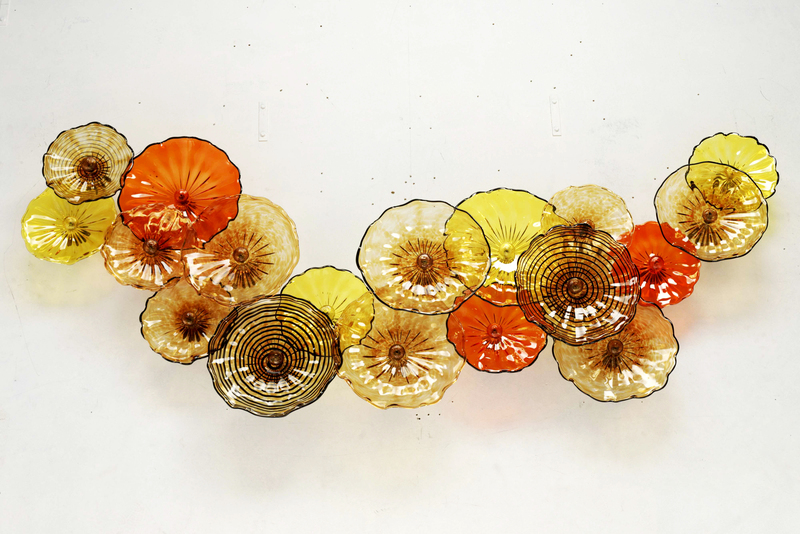 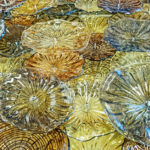 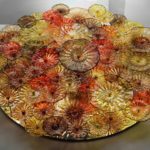 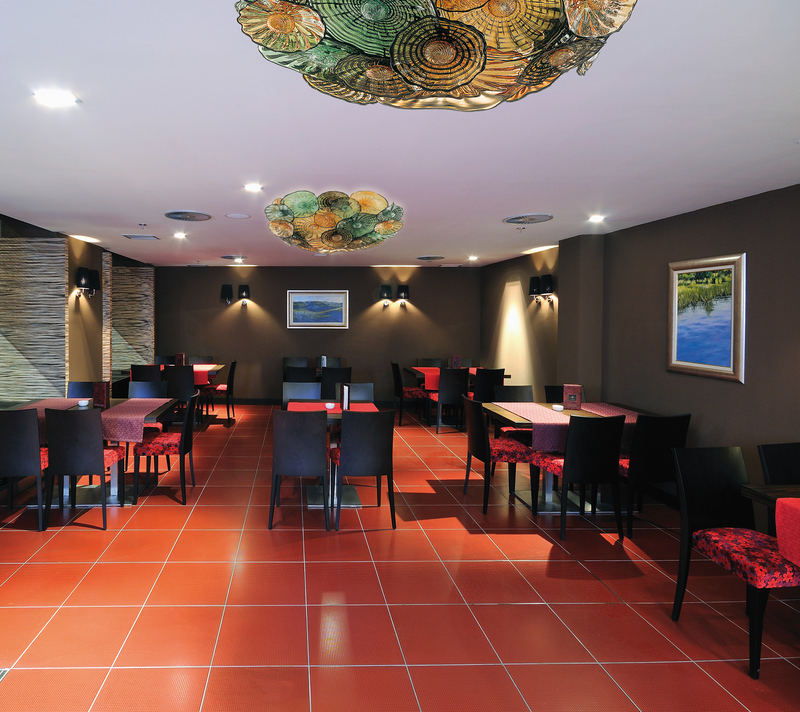 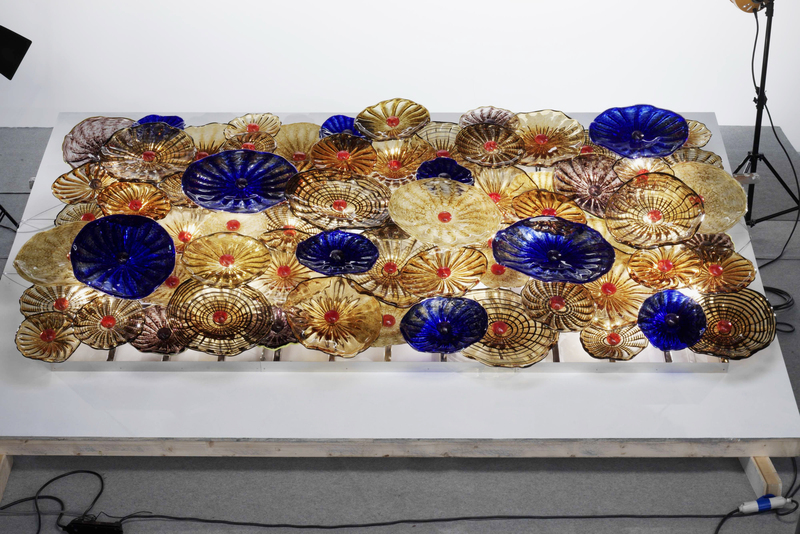 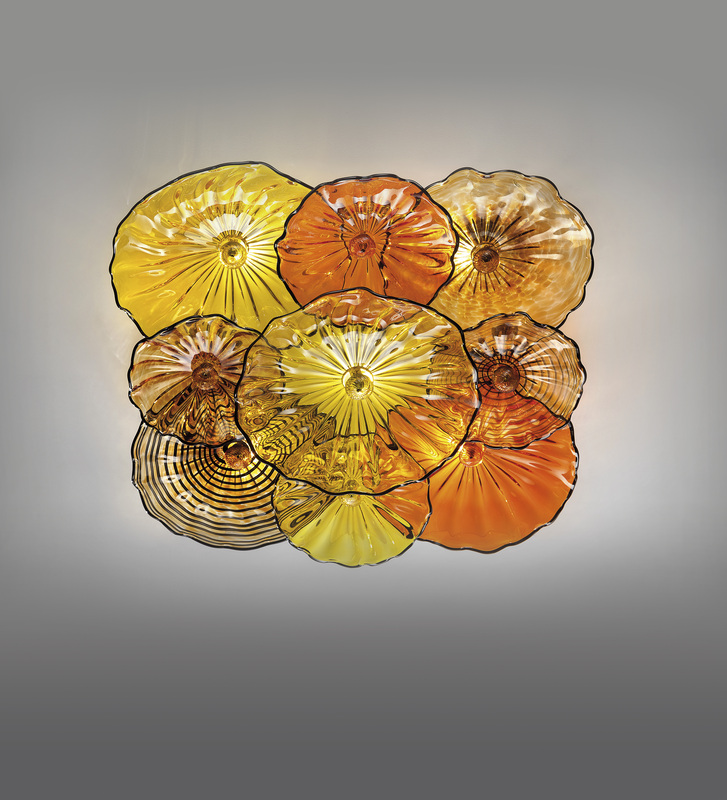 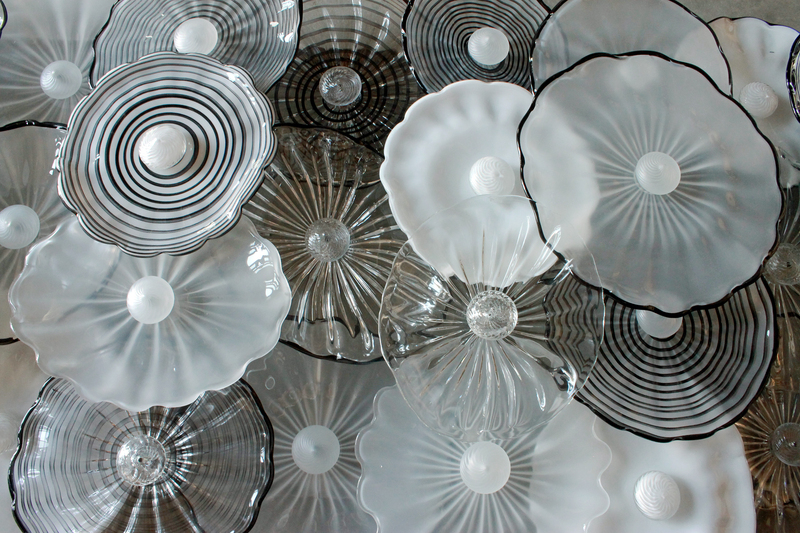 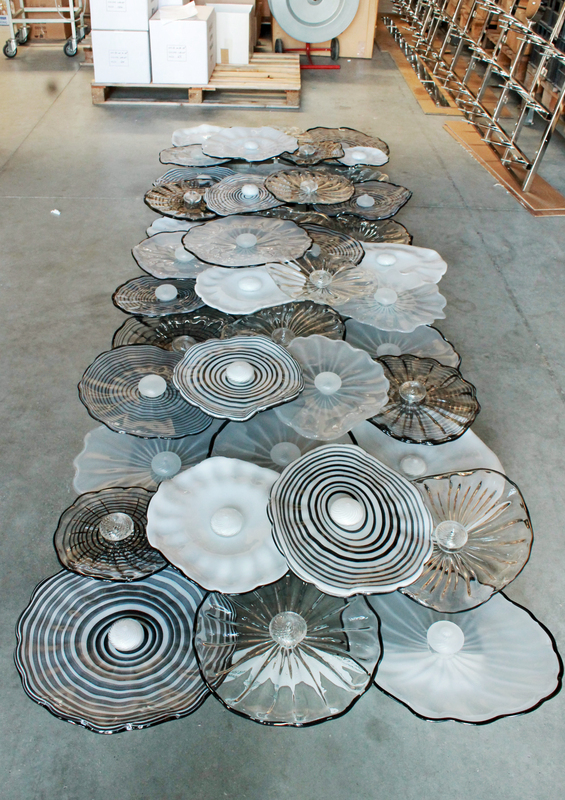 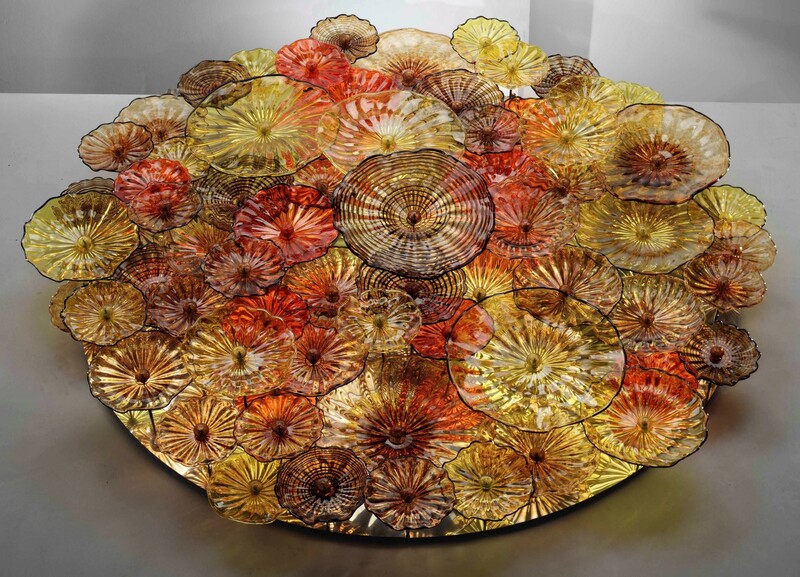 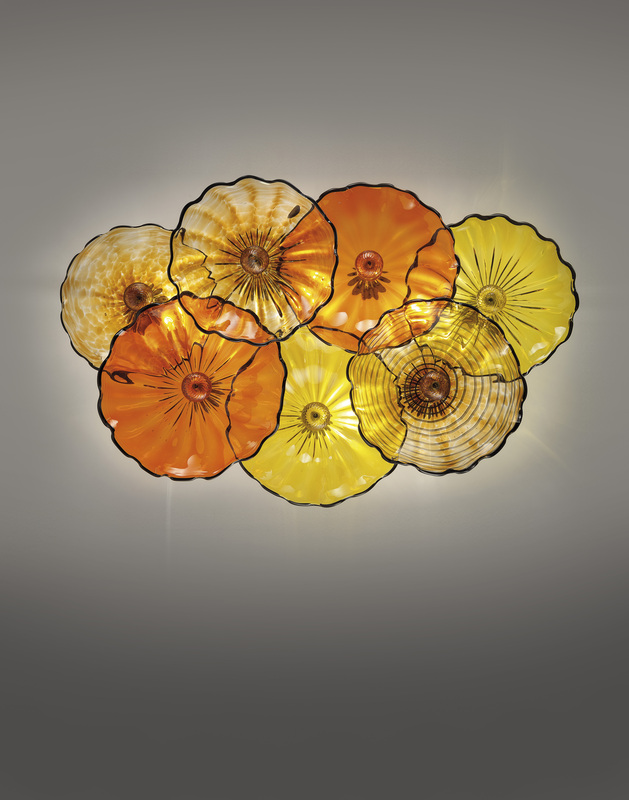 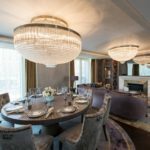 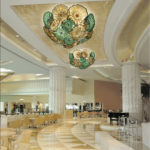 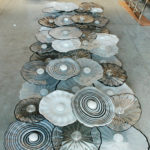 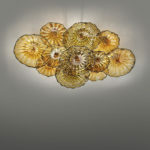 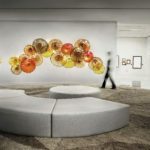 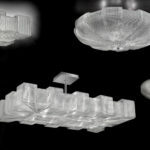 In Habitat 1 collection the inspiration comes from the flowers: the large Murano blown glass plates come one after another, partly overlapping, creating a varied surface. 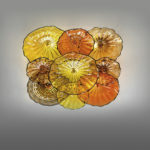 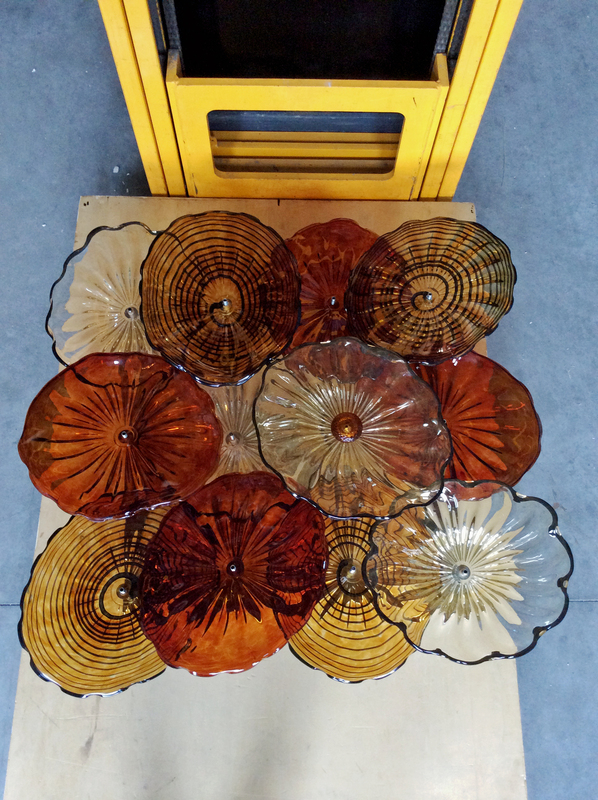 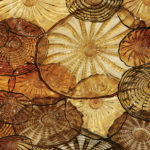 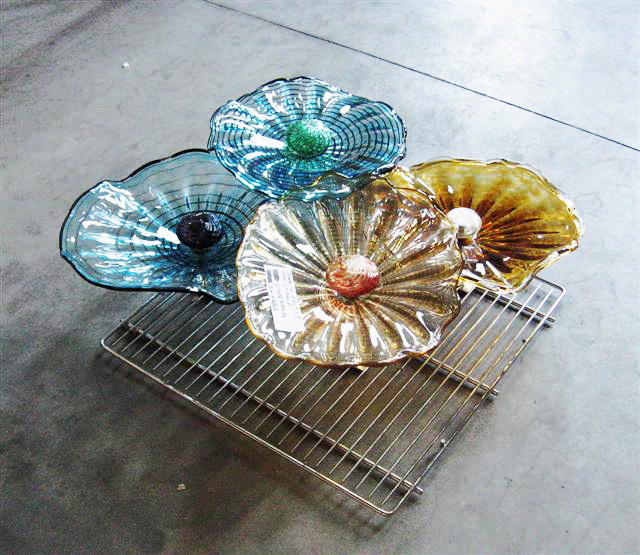 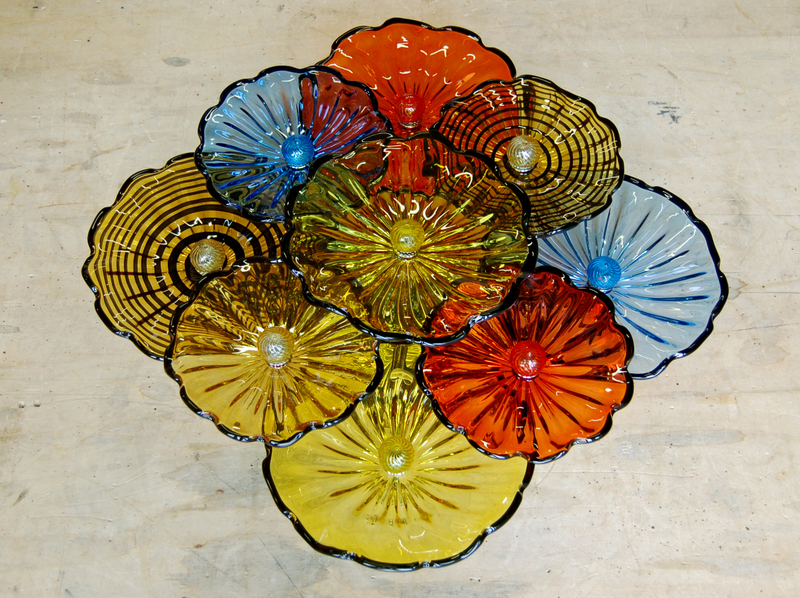 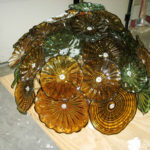 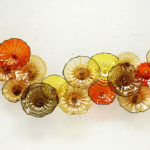 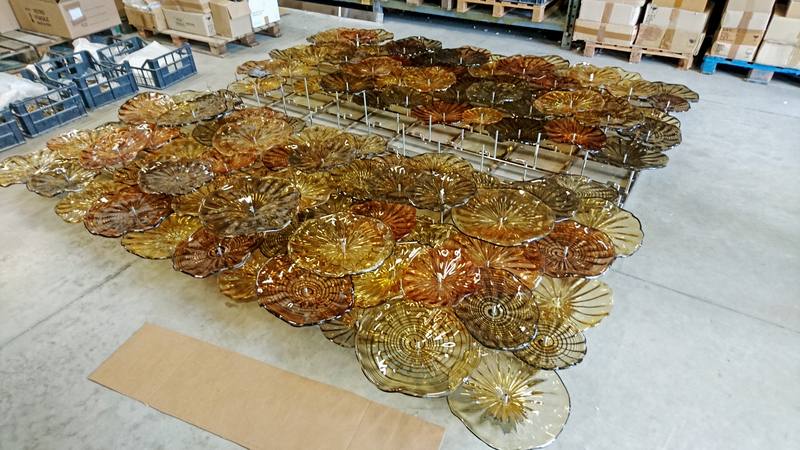 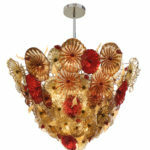 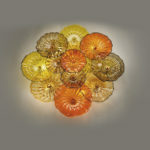 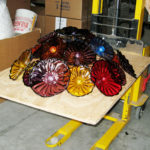 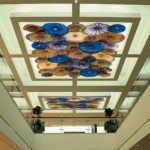 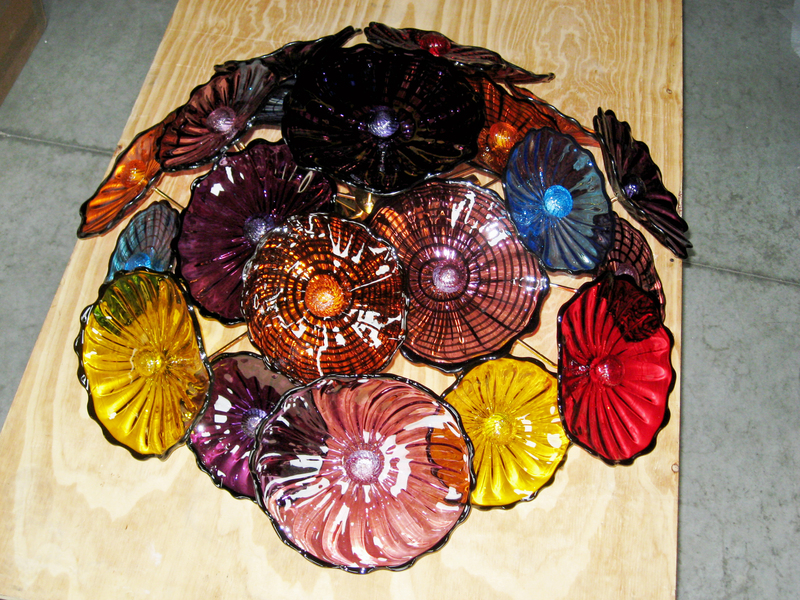 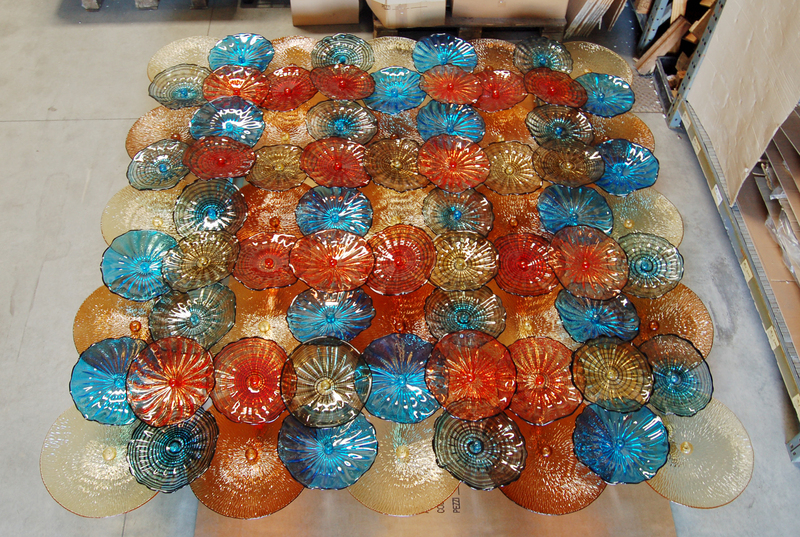 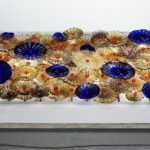 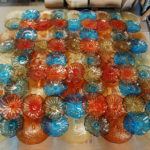 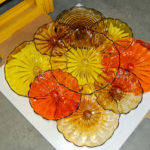 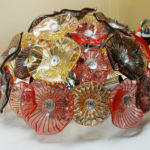 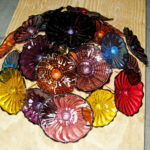 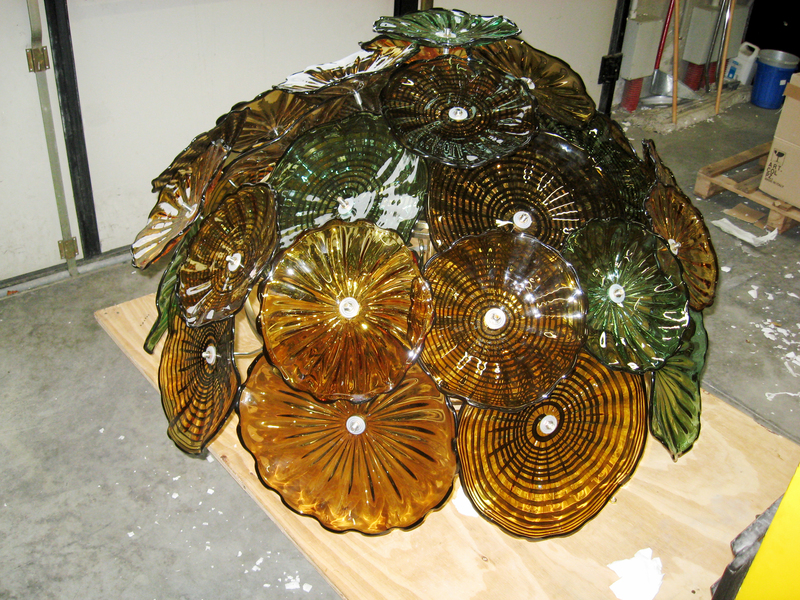 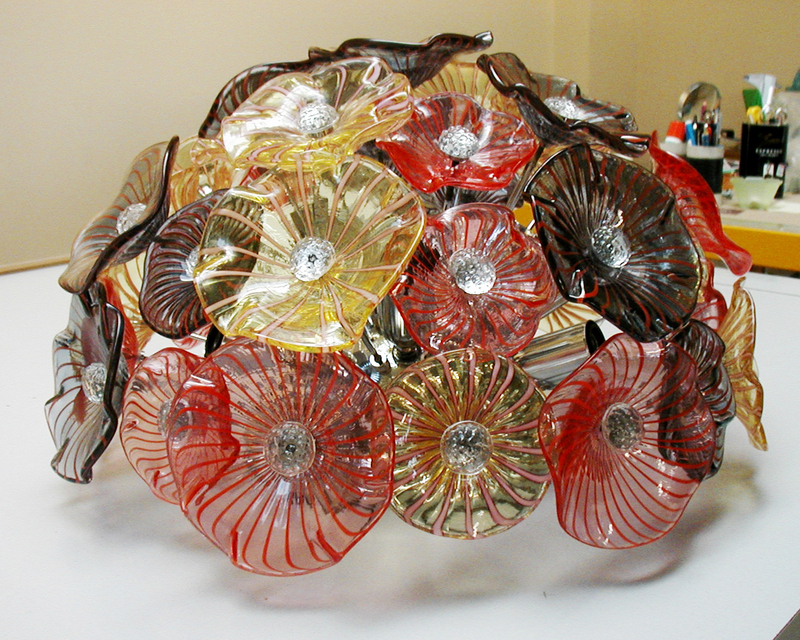 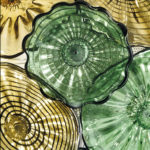 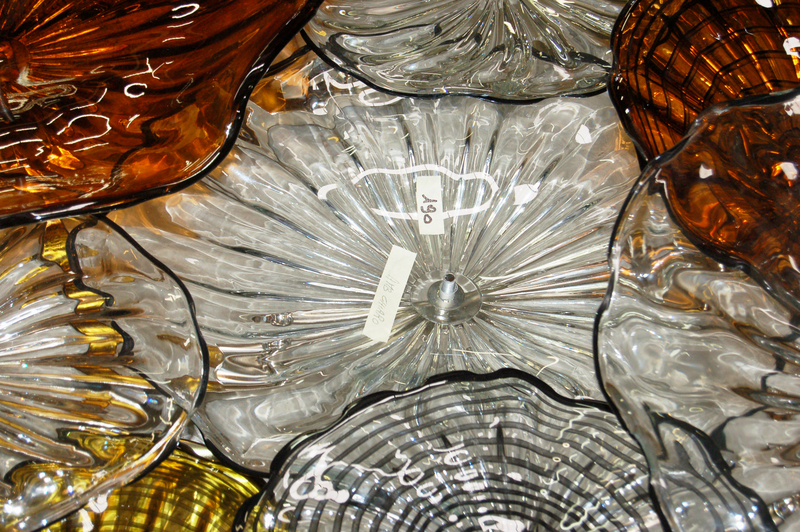 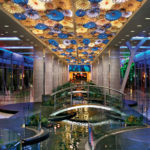 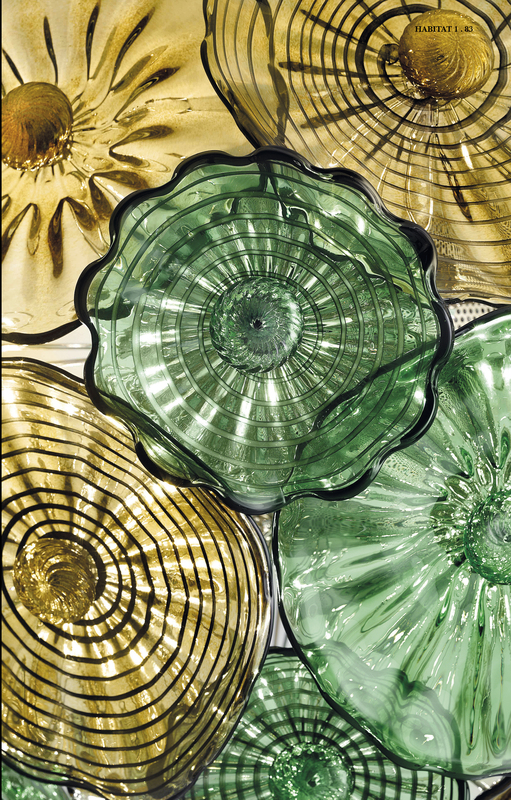 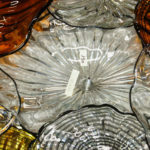 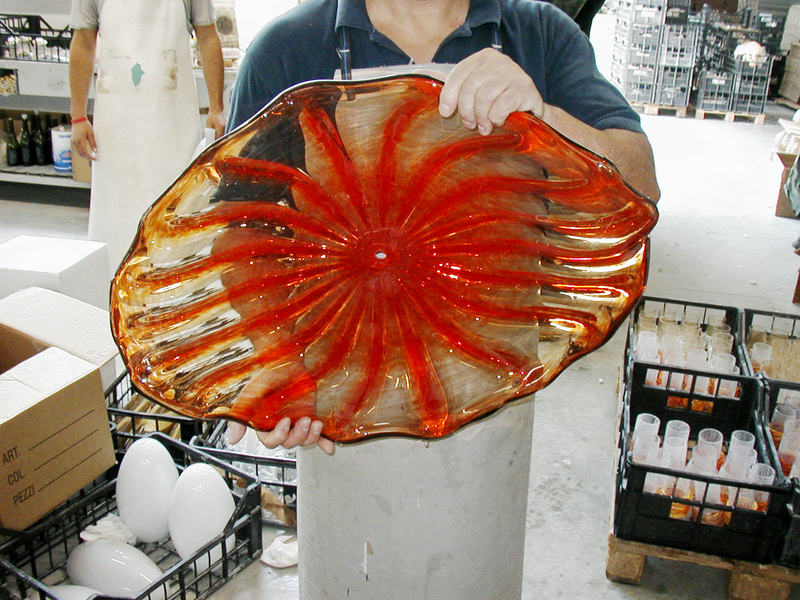 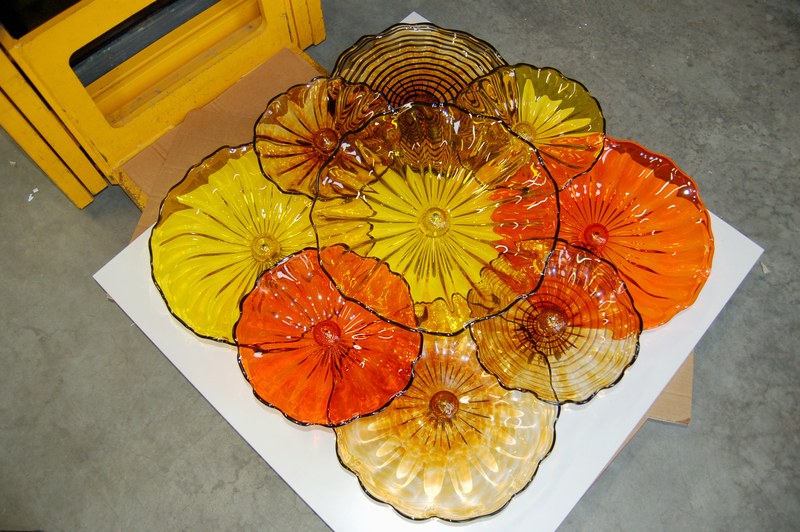 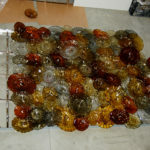 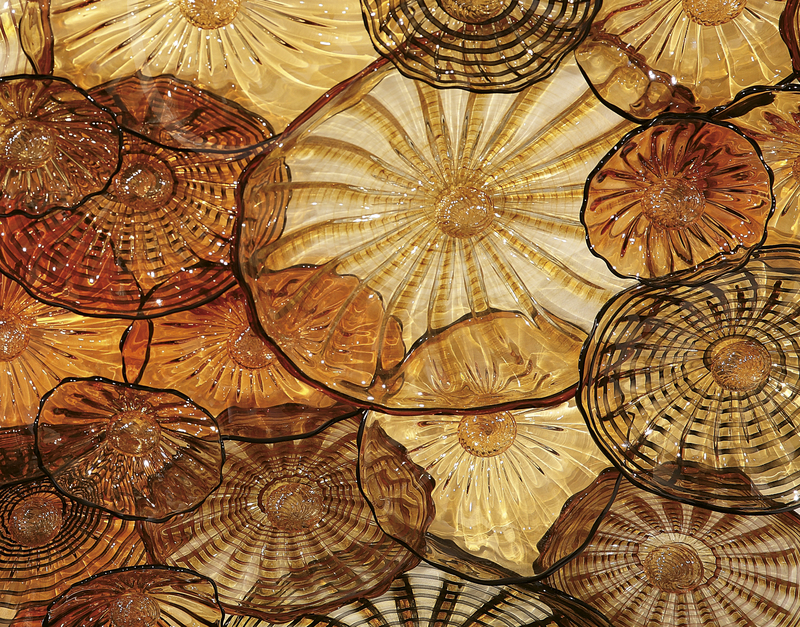 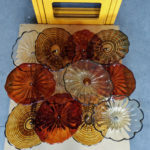 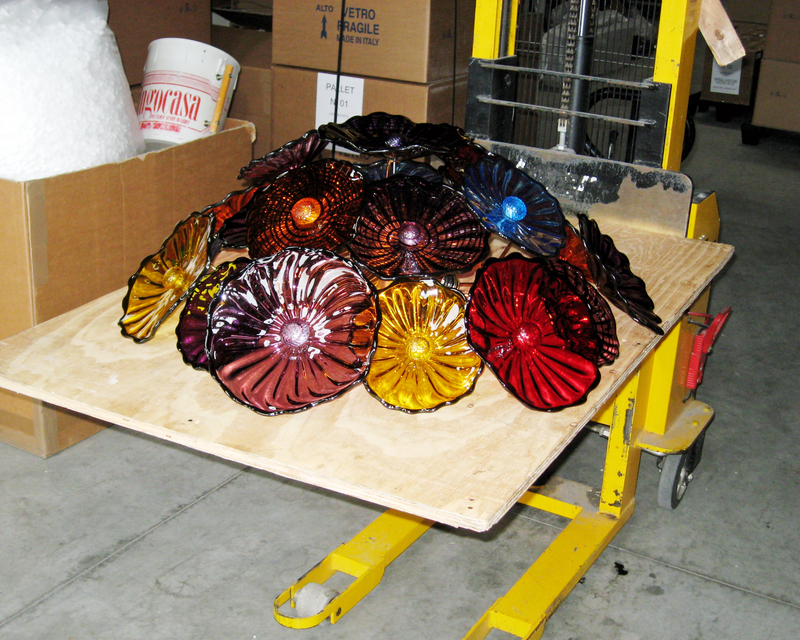 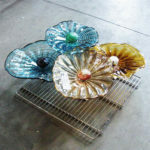 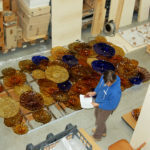 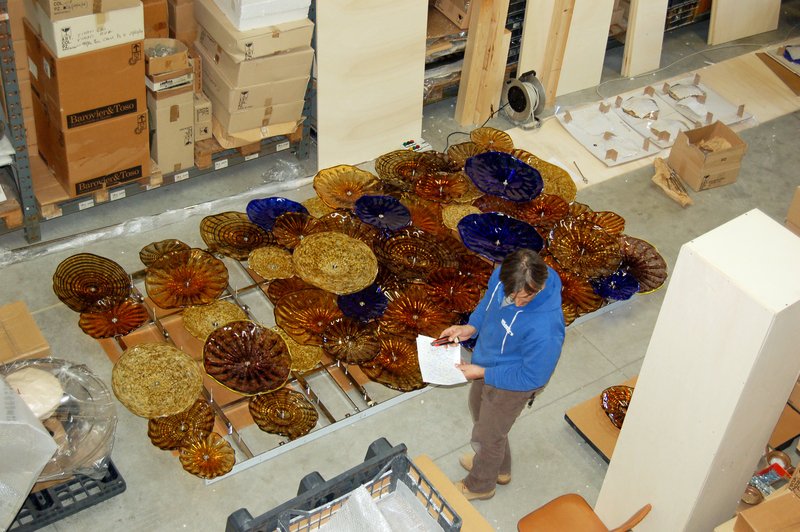 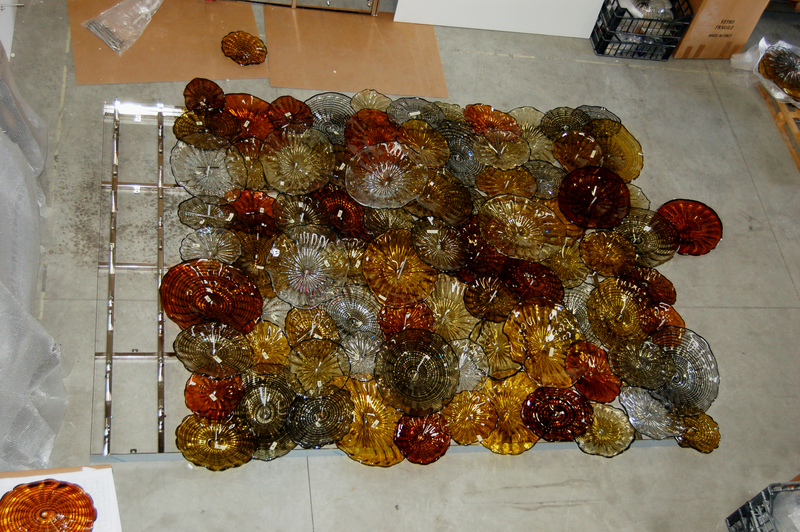 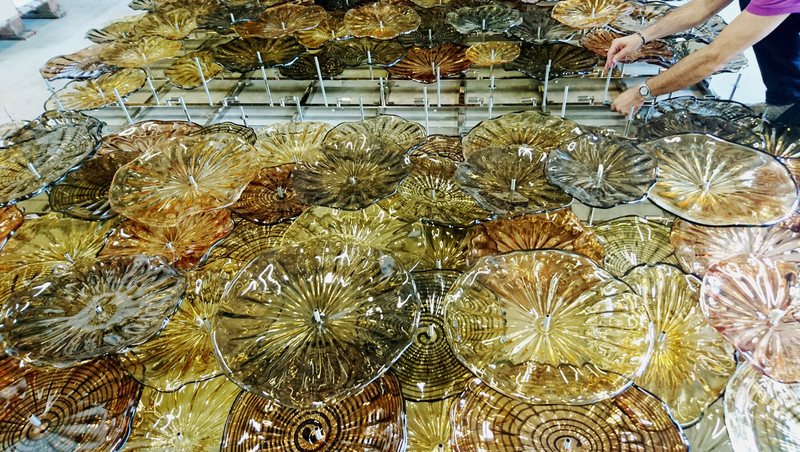 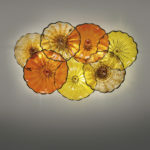 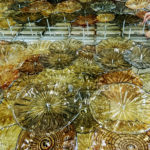 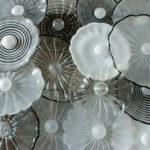 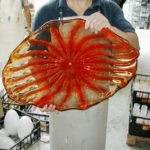 The beautiful flowers are the result of Italian glass blowing techniques: the glass is blown and then opened by the expert hands of master glassmakers, who use the traditional rigadin (grooved) technique to create the famous decoration, characterized by thin ribs. 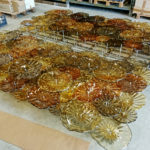 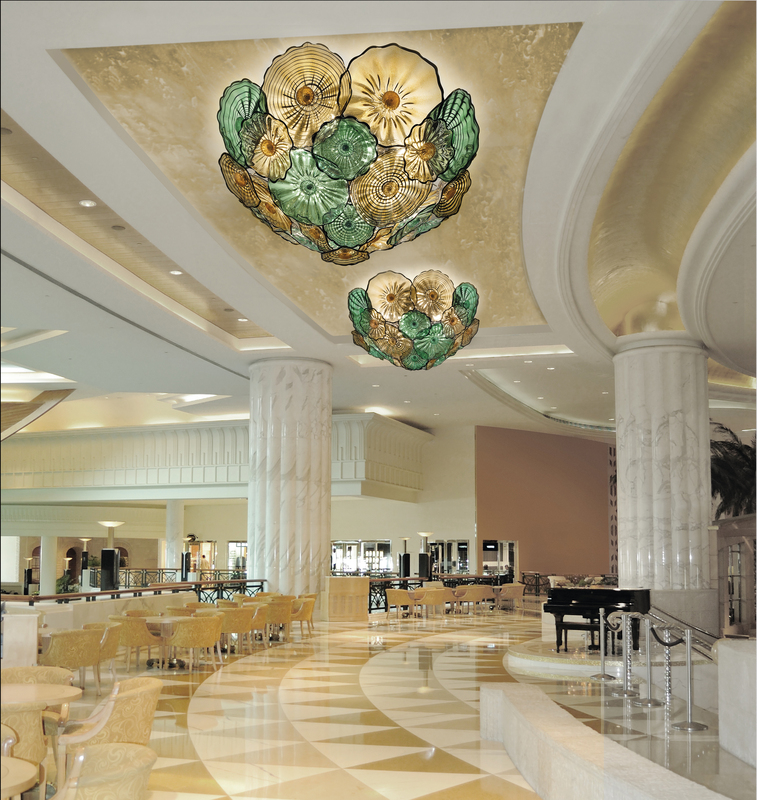 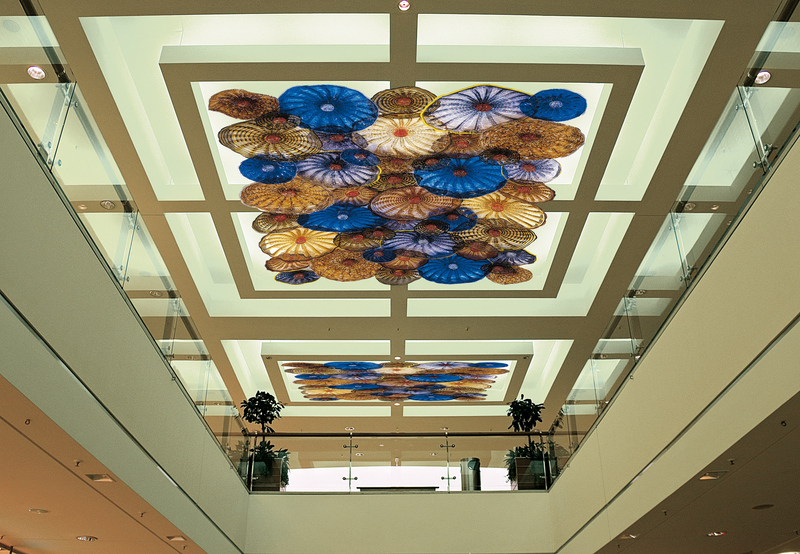 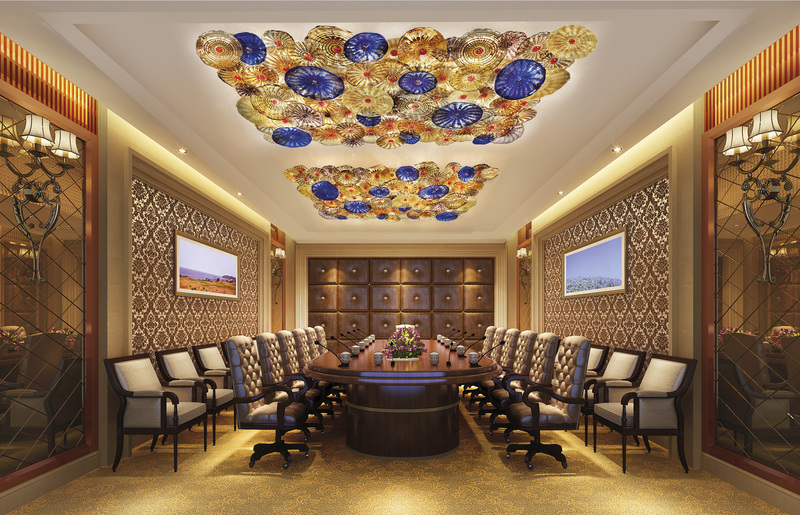 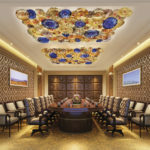 This decorative motif is obtained by blowing the glass in a bronze mold, whereas floral shape is created by the glassmasters thanks to their competence and professional skills, in an entirely artisan process. 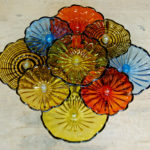 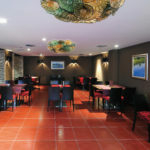 The flowers can have various shapes (round or oval), decorations (rigadin, rigadin with black border, rigadin with black border and spiral), colors (from clear to bold colors to the colors powder). 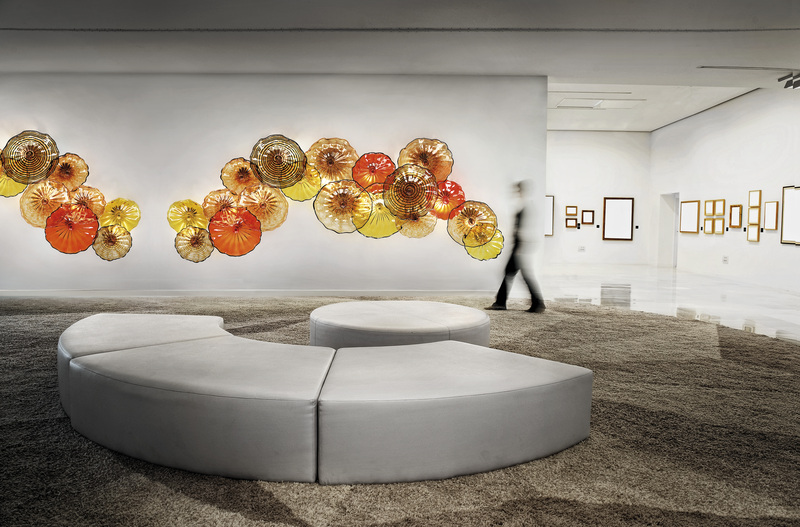 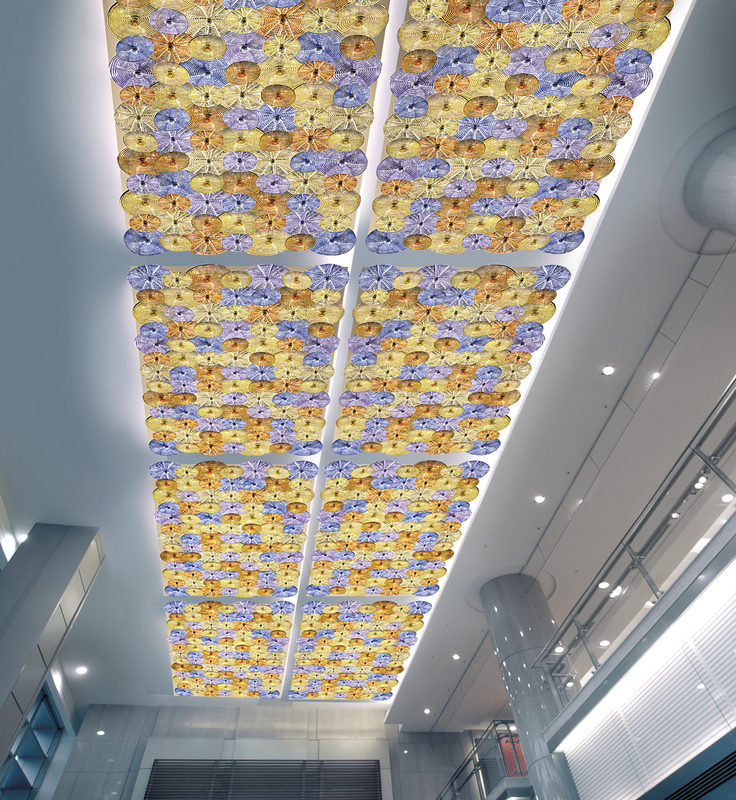 Any combination of shapes, colors and patterns, any shape of any size your imagination suggest you, it’s possible: Habitat Creative 1 collection offers you a total compositional freedom.